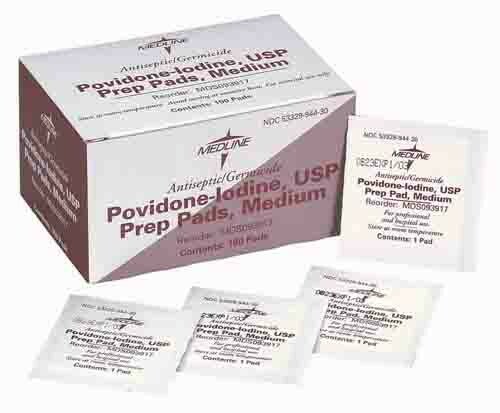 Povidone-Iodine Prep Pads provide an antimicrobial solution. The first step in the cleaning process. The pads are saturated with a 10 percent PVP-I, USP solution equivalent to 1 percent available iodine. This solution aids in eliminating bacteria that may cause infections on opened wounds, cuts, and nicks. It is handled to prep areas that will be surgically operated on. Pads are individually packaged for easy use. Professionals can use these pads in their office settings for small procedures or a hospital can utilize them to prep patient. 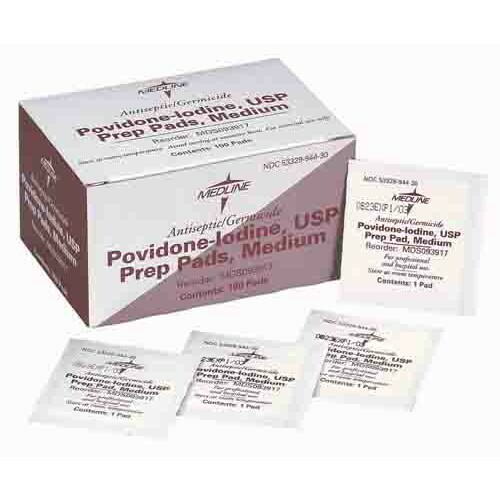 Povidone Iodine Prep Pads are widely used in the medical field as well as home use for health benefits such as for hygiene and personal cleansing. If you are interested in a swabstick application, you may want to take a look at the Povidone Iodine USP Swabsticks, Triples.